Acquire personal research skills and use these to study the global drinks markets and the marketing of alcoholic drinks. 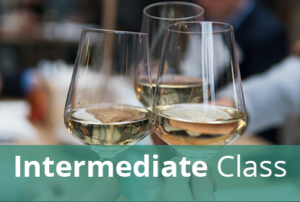 To complete Unit # 1 – The Global Business of Alcoholic Beverages you must pass the Case Study Exam (taken in class at the Capital Wine School) and the Coursework Assignment Paper (written at home but sent by the deadline to the Capital Wine). Includes all Unit 1 Study Materials*, access to WSET’s Online Classroom and its tutors, feedback case study test, and the Unit 1 exam and the Unit 1 Coursework Assignment submission. *WSET Diploma Unit 1 study materials are online only. ***The registration deadline for this course is December 18, 2018 and there are no refunds or rescheduling after this date. Website Designed and Developed by Drio, LLC © Copyright . Capital Wine School. All Rights Reserved. Subscribe to our email newsletter today to receive updates on the latest classes, events and special offers!